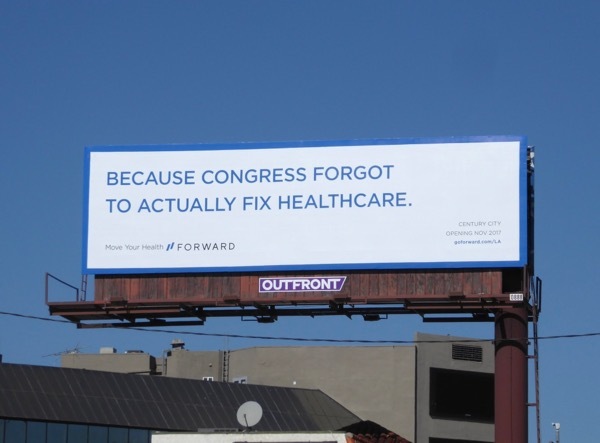 The Republicans had seven years to come up with a replacement for Obamacare and they failed miserably. 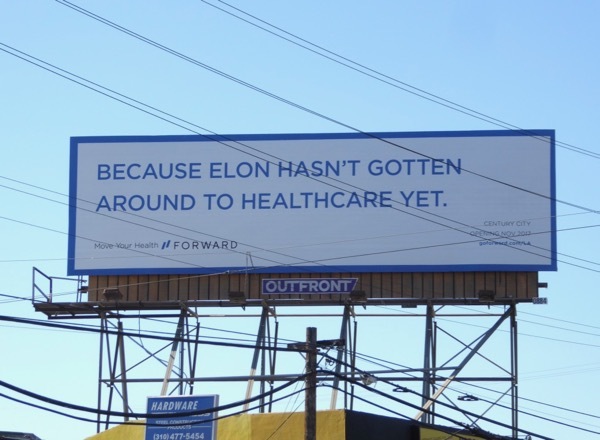 Then they tried to repeal and replace the Affordable Care Act and faced a revolt from America's citizens when millions discovered they would lose their health coverage, and no matter how much the current President tries to sabotage the healthcare system it has received a record surge in enrollments again this year. 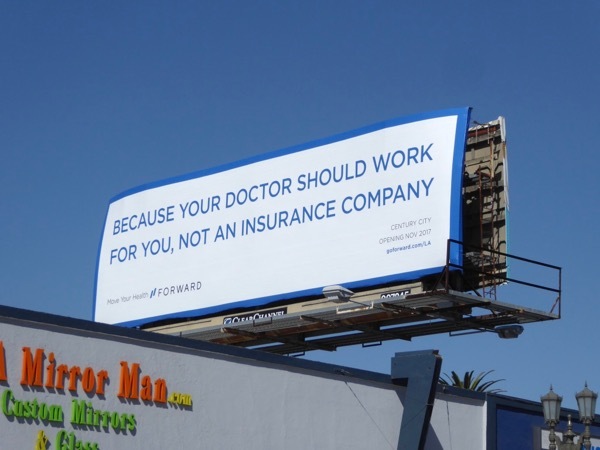 But healthcare coverage in the United States is such a nebulous and confusing thing, so one startup is trying to offer a new approach to your primary care, Forward. Their new membership plan combines private doctors with the latest technology to advance your healthcare further. 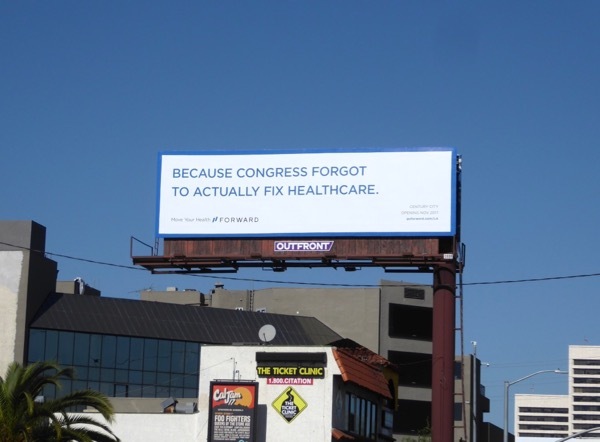 And if everyone's minds weren't already focused on their health coverage at the moment (especially with the GOP trying to sneak Obamacare cost cuts into their tax reform plans), these witty billboards poking fun at Congress and online medical information available really make a statement in L.A.'s sprawling skyline. 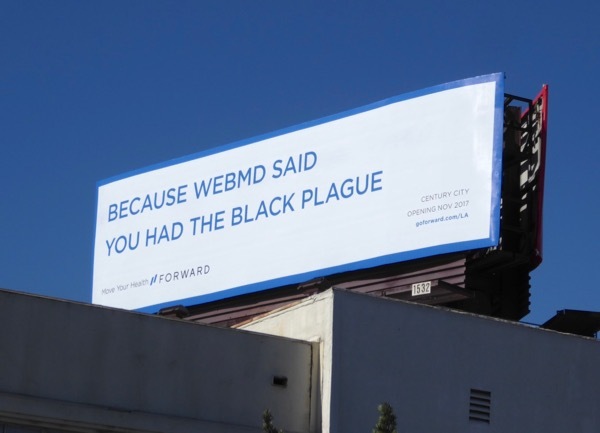 These Forward billboards were spotted along La Cienega Boulevard, Sepulveda Boulevard, Olympic Boulevard and Westwood Boulevard from October 7 to October 21, 2017. 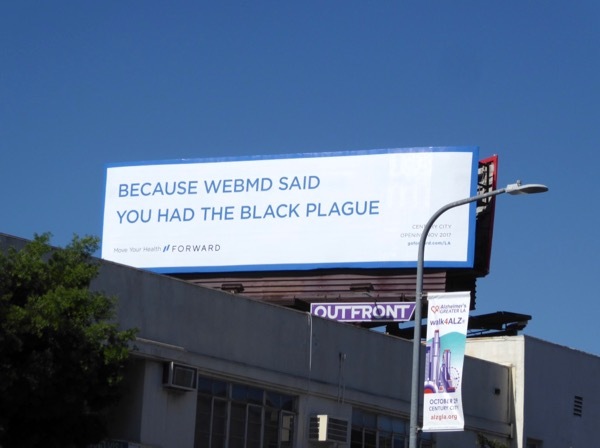 Only time will tell whether this approach will be the way of the future for healthcare, but the only real truth is that it's best not to get sick if you live in America.